Can’t decide where to eat? The Tustin Marketplace restaurants offer something for every appetite! Whether you want a bowl of hot ramen on a cold night, or a stack of pancakes on an early morning, there’s always something tasty to enjoy in this culinary hub. Check out our guide to the best Tustin Marketplace food below, courtesy of the locals at Weir Canyon Honda! This breakfast spot is the perfect place to go for a cup of coffee and a great plate of food in the morning. And with hours lasting from 6:30 am until 2:30 pm, you can even sleep in without missing out on the delicious Pancake Flight! Customers rave about the Eggs Benedict, the Shrimp and Grits, and the many imaginative sweet treats – like Pineapple Upside Down Pancakes! When you want a quick lunch with fresh flavors, Piadina really hits the spot. This quaint sandwich spot offers options for everyone from carnivores to vegetarians to little ones, so you can easily accommodate a hungry family. The Italian classics like Parma and Caprese sandwiches are popular picks, but don’t miss the specials of the day with bold flavors like smoked prosciutto and hot capicola. Enjoy the best of both worlds with the fusion cuisine of KoJa Kitchen, the brick-and-mortar version of a successful food truck. This casual eatery combines the flavors of both Korean and Japanese cooking to create one memorable meal. Everyone loves the short rib bowl and chicken katsu melt, and there are plenty of gluten-free and vegetarian options on the menu as well. J-San Ramen puts tons of hard work into every bowl of ramen, and it shows! Their signature ramen broth is boiled for 14 hours to create a rich, tasty backdrop for an incredible meal. The Tonkatsu Spicy Miso Ramen is a great option when you want something hot and the Shoyu Ramen is a flavorful option with a little less heat. Don’t forget an order of karaage or takoyaki to start your meal off right! Enjoy Tustin Marketplace Food with Weir Canyon Honda! You know the best Tustin Marketplace food, but what else is waiting for you in Tustin? 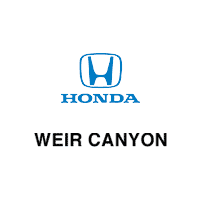 Let Weir Canyon Honda, a member of the David Wilson group, be your guide to all things local! If you have any questions — or if you have a recommendation for one of the best Tustin marketplace restaurants out there — do not hesitate to contact us today!